The 2nd Annual Sacred Heart Area School Workathon will take place on Wednesday, October 14th starting at 12:00pm and ending around 2:30pm. The Workathon replaces the Marathon, where in the past, students rode bike or walked for pledges. Instead the children and their parents reach out to family, friends, and neighbors for donations to the school for their service the day of the Workathon. The Workathon benefits both the Staples community and Sacred Heart Area School while providing a service experience for our students. Our goal is to raise $9,000 for SHAS. Remember, this is one of our 3 biggest fundraisers of the year, and one the two that all K-5 families are responsible to help raise funds for our school. We welcome, encourage, and count on preschool family participation as well. Awareness of the Workathon will be brought to the attention of the community through posts in the Staples World and in the church bulletin. 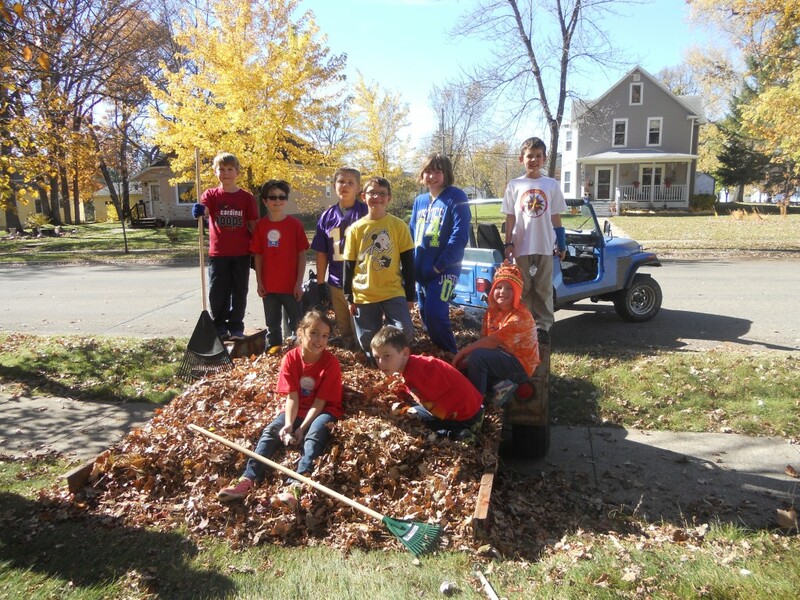 Students in 1st—5th grades will work in local city parks, picking up sticks and raking leaves. Preschoolers and kindergarteners will remain on our playgrounds and city block cleaning up the area. Parents are welcomed and encouraged to participate in the workathon, however we realize not everyone can, due to your their schedules. As Christians, we are called to serve God and His people. Our Workathon facilitates just this. Thank you in advance for your contribution to its success.